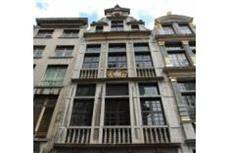 With its central location, Residence Grand Place is within easy reach of most tourist attractions and business addresses in Brussels. The Residence Grand Place boasts a convenient location with modern amenities in every guestroom and superb service. Each guestroom is tastefully appointed with non smoking rooms, bathrobes, television, bathtub, shower. This beautiful Brussels accommodation provides laundry service/dry cleaning, business center to suit all guests' utmost convenience. The hotel creates a balance of rich culture and modern convinience to ensure you a memorable stay. To proceed with your booking at the Residence Grand Place, simply choose your travel dates and fill in our secure online booking form.